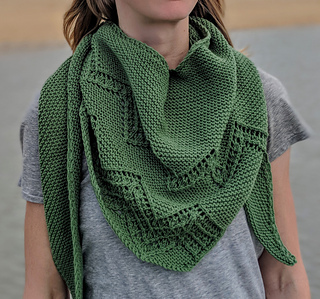 To celebrate my 20th pattern release, all of my patterns are 20% off until March 23. No code necessary. 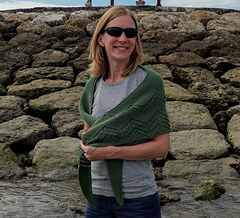 The Trail Ridge Shawl is an asymmetrical triangular shawl that is knit on the bias and shaped with simultaneous increases and decreases at both edges. 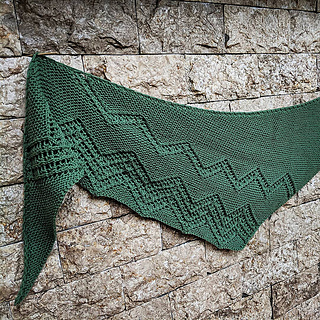 The chevron pattern has both written directions and is charted out. Quince and Co Chickadee (100% Wool; 181yds / 50g), Lichen - 3 skeins. US 6 / 4.0mm 32-40” / 80-100cm circular needle to hold a number of sts (shawl is worked flat), or size required to obtain gauge. 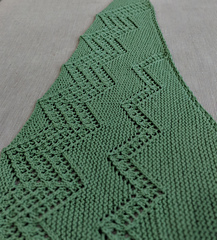 19 sts x 30 rows = 4” in garter stitch, blocked. Gauge is not crucial but variations will affect yardage and final measurements.